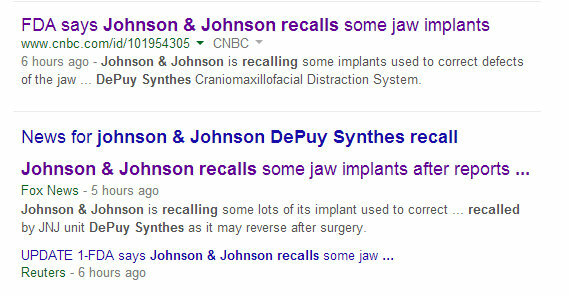 Today it was announced that Johnson & Johnson’s DePuy Synthes is involved in a Class I Recall for their Craniomaxillofacial (CMF) Distraction System as stated by Reuters, CNBC, and now Fox News. 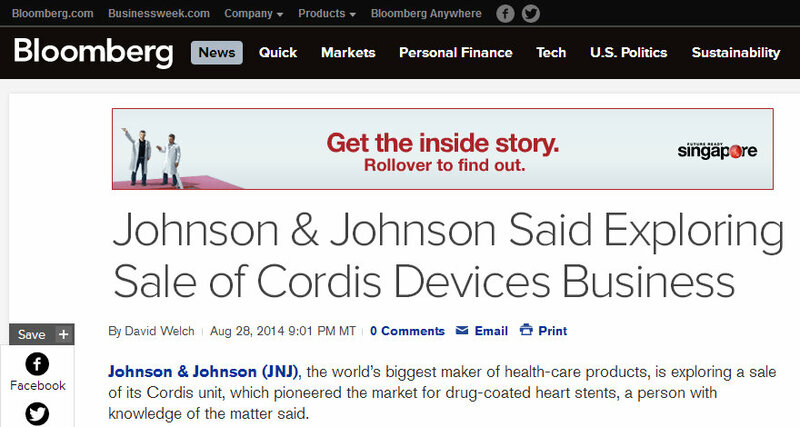 Three major news outlets covering a Johnson & Johnson story are rare. 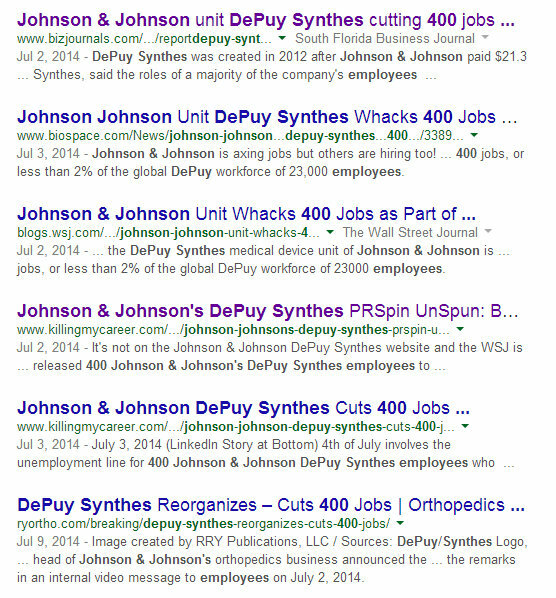 As this site has often pointed out, Johnson & Johnson information is usually only covered by one major source: The Wall Street Journal; and, other big outlets like Reuters, CNBC and Fox do not like to cite competition in as their source so many stories go widely unreported. Why is this a big deal? Well, we could potentially miss out on important stories which is a way for a large corporation like Johnson & Johnson to possibly control the amount of negative press they receive. So why is today different? 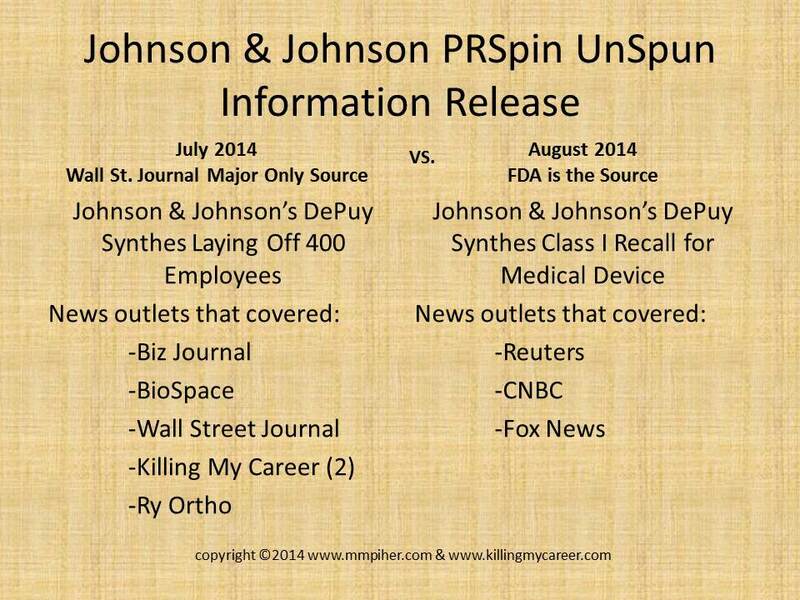 The FDA released this information and not Johnson & Johnson. Now as much as I’d like to one day think of this site as an information source for the masses, the idea that this blog is both the fourth and fifth spot on the Google search demonstrates the point rather well that when a company like Johnson & Johnson sends information to one major outlet like The Walls Street Journal, it cuts down on the amount of coverage and in turn negative press. The FDA recall is more important than job loss at face value; but, do we want a company that’s had to sign corporate integrity agreements, pay billions in fines for unethical and illegal activity to control what we read about them? I for one, do not. 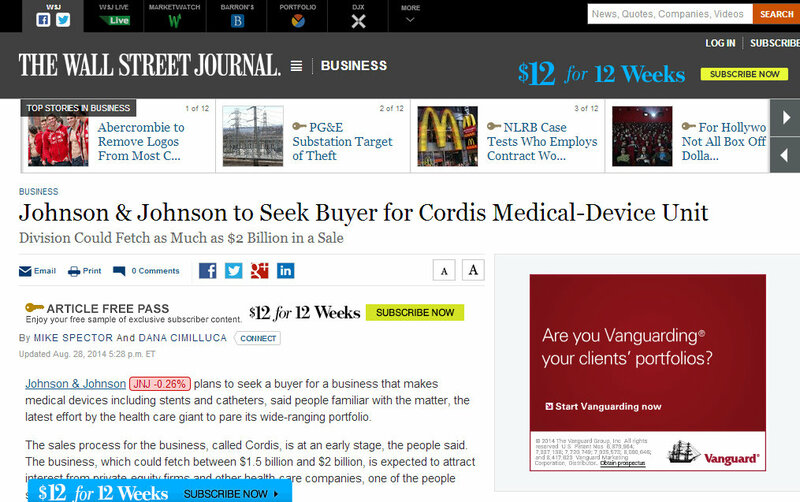 And if there was any doubt: today at 5:28 PM (EST) Johnson & Johnson announces they’re looking for a buyer for their subsidiary Cordis via The Wall Street Journal, because, well, Craig’s List just didn’t send the right message? Note the time and date of the release of this information. After hours (East Coast) on a Thursday-not a lot of attenion given to a story like this. Interesting timing since I still think Johnson & Johnson is interested in Allergan. Cordis is expected to fetch between $1.5-$2 billion according to The Wall Street Journal-well that should would buy a lot of Botox, wouldn’t it? Happy to see someone other than just the WSJ covering JNJ stories; but, should other major news outlets have to resort to citing “a person with knowledge of the matter?” Bloomberg got shut out by a JNJ “spokeswoman,” who clearly felt her name was even too important to give to a reporter? Makes those that read this site often wonder if Sherri Woodruff the JNJ mouthpiece who sings the praises of mesh as the ” Gold Standard,” is the now trying to create a new journalism “Gold Standard” where if she spins it, it must be true?